The portfolio currently consists of three investments. The investments in ACTECH (2017), WEKA (2018) and ANTENNENTECHNIK ABB (2019) have been sold. All companies are ranked among the market leaders in their relevant markets. Since investing PREMIUM has been able to improve the positioning of companies through the management and the respective advisory boards by various measures: At ACTech, for example, production has been partly converted to 3D printers, and at Antennentechnik ABB, the building of a new production and technology centre in Weimar has taken place, while at wekaHolzbau, the product portfolio has been expanded to include new materials. With ic! Berlin Group, the obligatory strategy workshop of PREMIUM was implemented that defined the priorities of the growth plan, among others in Asia. In July 2018 PREMIUM has acquired a majority share in CLARUS Films Group which envisages to expand its market leadership in Europe and in August 2018 KAMA, the innovation leader for post-press machines, was acquired together with the management. 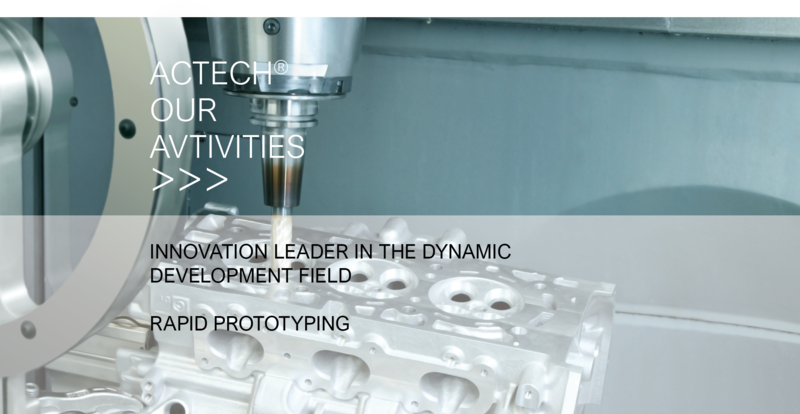 As one of the world's leading companies, ACTech GmbH offers all work steps (including 3D printing) from a single source, which are necessary for the production of a complete close-to-production, testable prototype casting from a 3D data set. PREMIUM has acquired a 90% stake in ACTech Holding GmbH, Freiberg/Saxony, together with a co-investor. Jointly with the management team, which holds a 10% stake, the growth course has been continued and the necessary capital was made available. PREMIUM has strengthened the management team and accompanied the company in the transition to 3D printing technology. In-sourcing has reduced third-party services and delivery times have been reduced even further. In October 2017, PREMIUM together with the co-investor and the management successfully sold 100% of the shares in ACTech to Materialise NV, Leuven/Belgium.